The rose is often seen as the “perfect” flower. One look at the full, lush blooms, and you can see why. 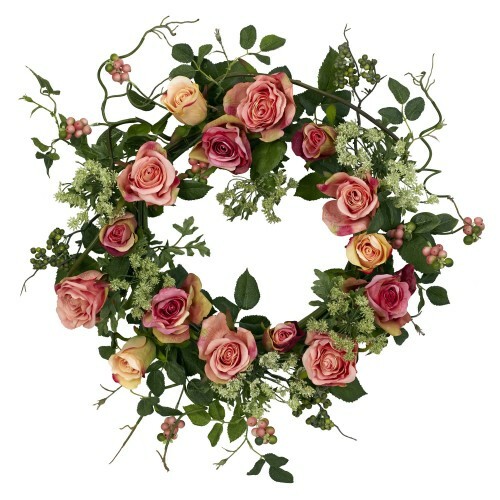 Well, we’ve taken those perfect blooms and created this exquisite 20” rose wreath that has to be seen to be believed. Full rose blooms circle round’, while the leaves and stems provide the ideal backdrop. It’s a mixture of bold color and “wild vibrancy” that is sure to please even the most discerning eye.